Protection cover for round 490 trampoline. Protection cover for round 4.90 m in diameter trampolines. This cleanliness cover has been designed to fit perfectly on your round trampoline. It is adapted to ensure your trampoline has the best protection in all weather and from other outside aggressions. It will improve its durability and keep it in perfect condition so you can enjoy optimal use. - Protection cover for round 4.90 m in diameter trampolines. 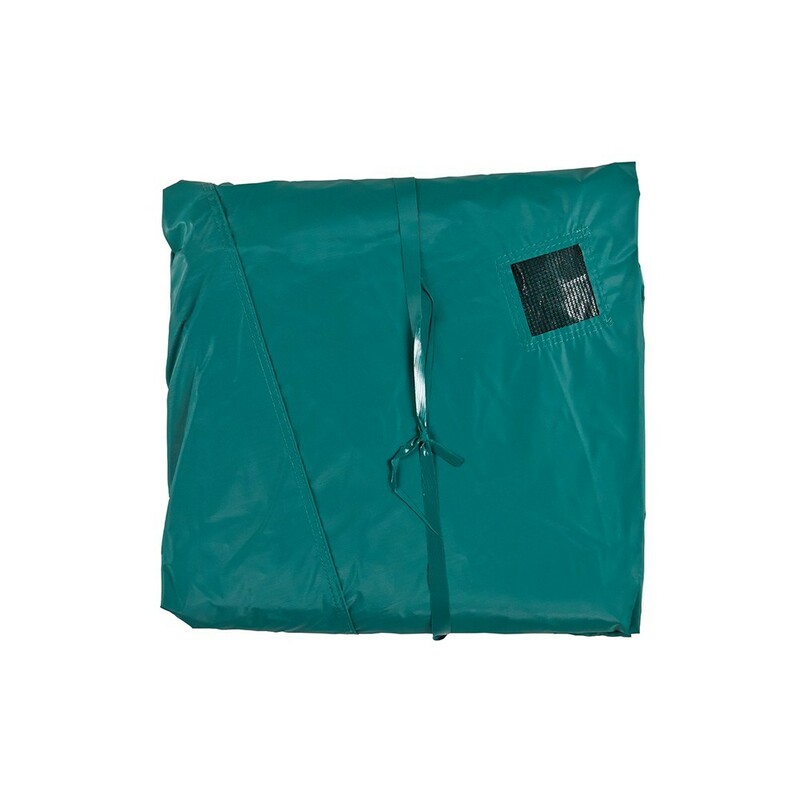 - Our cleanliness covers are made from a high-tech fabric and covered in PVC. The PVC is dense, 650gr/m², which is the same density used to make lorry tarpaulins. 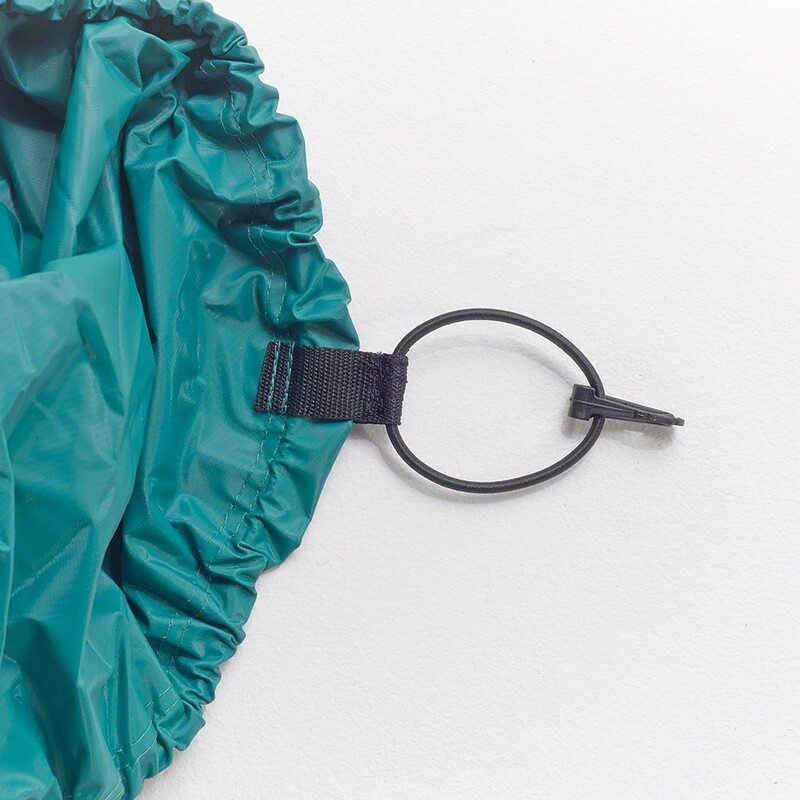 This quality will allow the cover to be very resistant to wear and tear and also incredibly waterproof. 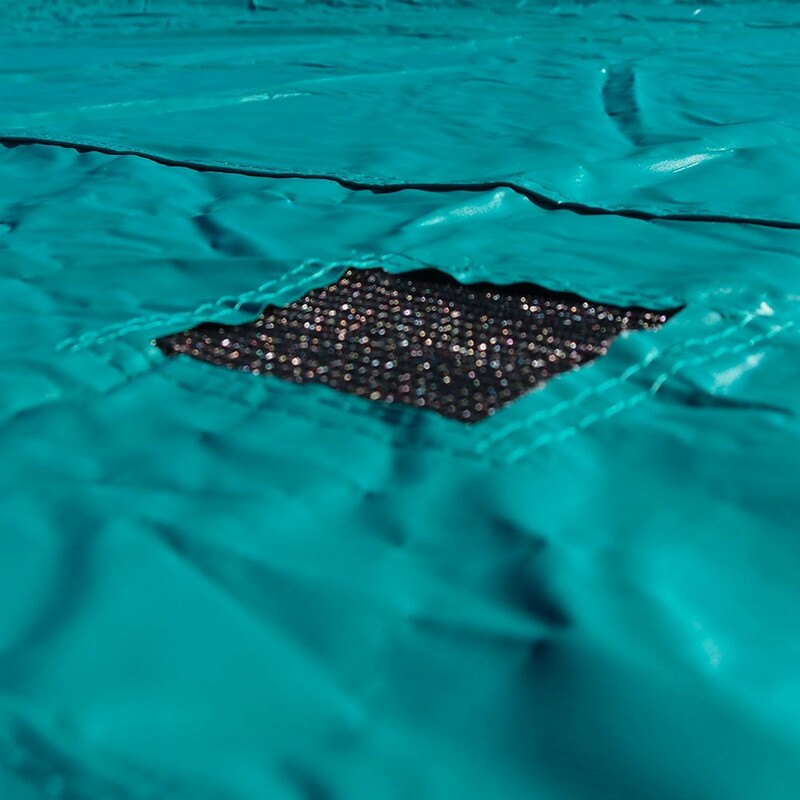 - Our covers have got 3 evacuation outlets (black mesh grids), allowing any accumulating and stagnant water to drain from the centre. 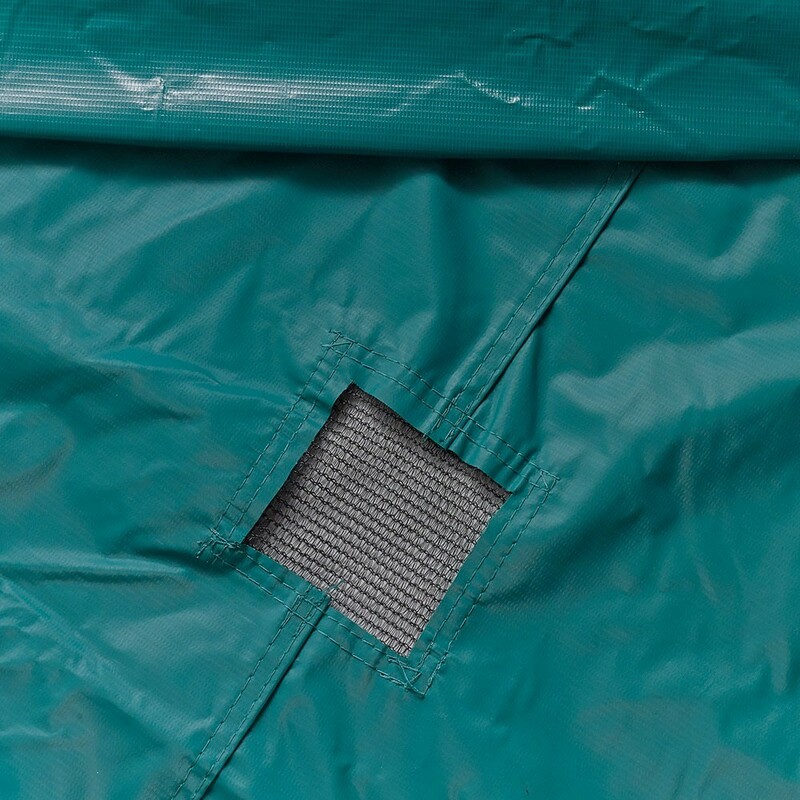 This cover prevents the jumping mat and springs from getting unnecessarily stretched and damaged. 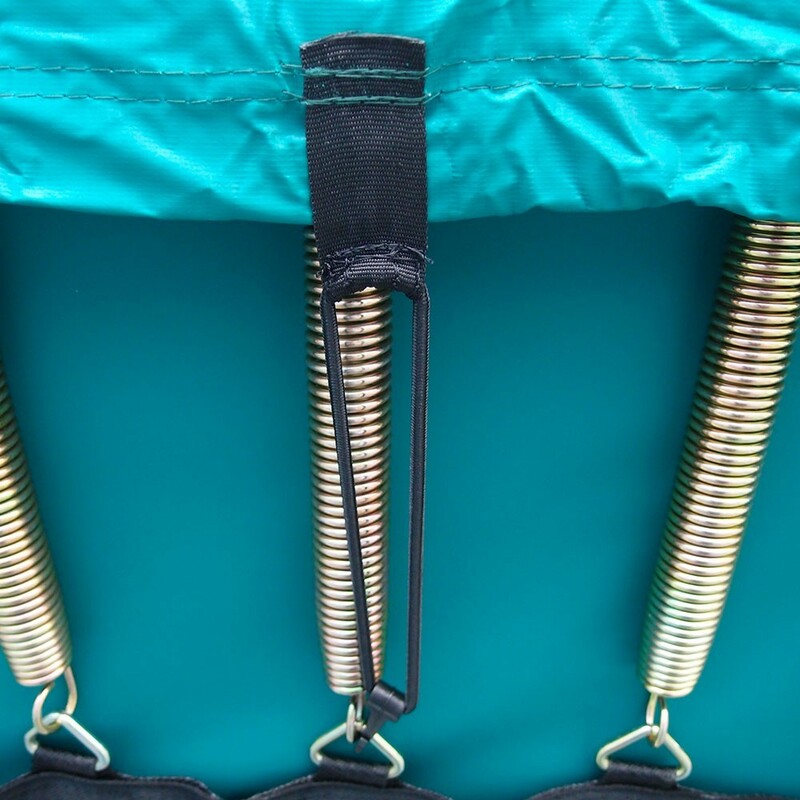 - To make installing it easy, our cover is fixed to the framework using straps and hooks. - To make sure it blends homogeneously and discreetly into your garden, the cover is green. If you use our cleanliness cover, you will be able to have a clean and ready-to-use trampoline all year round. The cover is generally used during the winter months because of bad weather, however you can also use it during the summer to protect your trampoline from UV light. Facile à installer, à l'air d'un bon produit.